First in a new series from Ted Dekker, The 49th Mystic is a reality-bending thriller that keeps your pulse racing. 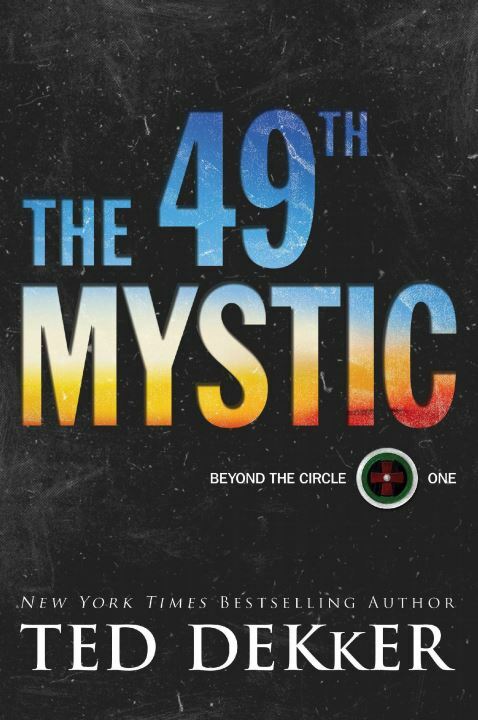 The 49th Mystic by Ted Dekker was published by Baker in July 2018 and is our 12140th best seller. The ISBN for The 49th Mystic is 9780800734930. I was intrigued by the blurb for this book – about a blind girl who lives in two worlds. Or rather, in two time periods. When she sleeps in her home town of Eden, Utah, she is awake in a future world, and vice versa. Motherless Rachelle is close to her father, David, and an independent young lady. Although blind, she ‘sees’ using sonar clicks, and navigates through her world confidently. When strange things happen during a medical procedure to restore her sight, Rachelle soon finds that it’s just the beginning of a series of dramatic events. While she sleeps in Eden, she wakens in another place and time. A place which seems dangerous yet familiar and where she must trust people she barely knows. At first it’s a relief to wake up back in Eden, but life there is about to change forever, and everything she knew and thought to be true will be turned upside down. I was hesitant about starting this book, but I needn’t have been. Captivated from the very beginning, this was a book I was desperate to keep reading! Settle into your comfiest reading chair with a cup of something nice and your favourite snack, take the phone off the hook (or switch off your smartphone) and put up a ‘do not disturb’ sign. Once you’ve started this book you won’t want to stop! I was new to this author but thought I would give it a go as he's a Christian. However I couldn't carry on reading this book. It was exciting but after I put it down it made me feel haunted. I expect some people would enjoy it as it was quite exciting to read but left a bad atmosphere with me so I didn't read far. Got a question? No problem! Just click here to ask us about The 49th Mystic.